by For High School Counselors.In E-Cigarettes, Hookahs, Kick Butts Day, Vapor Cigarettes.Leave a Comment on Kicking "Butts" 2014! Kick Butts Day is this week and the typical “smoking is bad for you” campaign will be presented to students and staff around high schools in America. 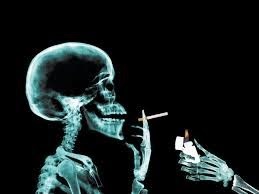 I have to admit that I have a real bias against smoking and tobacco products ever since my grandfather died of emphysema in 1996. Therefore, you know that I will be leading the “please don’t start smoking” charge in my school! To loose weight-this one is a big one for females! 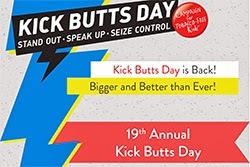 What is Kick Butts Day Campaign? This year, our school received an opportunity from our local health department to complete a study regarding smoking awareness at our school. One of my peer helper classes decided to take on the project and complete an extensive investigation regarding tobacco awareness in our school. In this study, our students found that the tobacco policy in the school handbook had not been updated in some time. 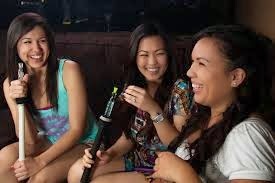 Some of the suggested updates from the students included the prohibition of candy cigarettes, electronic cigarettes, hookah pipes, and vapor cigarettes. In addition, the students found that there was no signage inside or outside of the school to indicate that tobacco was not permitted on school grounds. The students felt that the school took it for granite that students knew not to bring tobacco or tobacco products on campus. 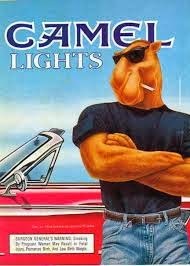 This week our school had its first test regarding vapor and flavored cigarettes on campus. Apparently, some of the students were bringing these cigarettes on campus because the handbook did not expressly prohibit their use on school grounds. The peer helpers saw this as a great opportunity to educate the student body about all tobacco products and their dangers. 1. Hand out pamphlets and information during lunch about the dangers of smoking and its long term effects. 2. 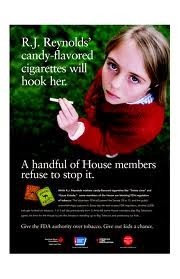 Raise awareness about what chemicals are in a cigarette. 3. Show the student body that not everyone is smoking by asking smokeless students pledge to remain smokeless by signing a pledge. 4. Educate students about the new forms of tobacco products being marketed to teens like flavor cigarettes, e-cigarettes, and vapor cigarettes. 5. Educate students about the numbers of students who are exposed or use tobacco products in the US. 6. Visually show students the numbers of deaths per year among Americans from smoking related illnesses on tombstones. I hope you get some useful ideas to use in your school! 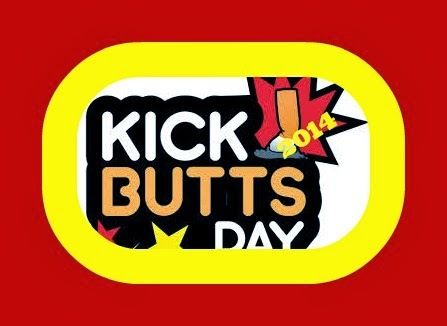 Let me know if you conducted a Kick Butts Campaign this year!! Previous Previous post: How School Counselors Make a Difference in Youth Violence!